Today is a very important day, not only in America and the UK, but also all around the world, as we mark not only Veterans Day, but also the signing of the Armistice at the eleventh hour, of the eleventh day, of the eleventh month of 1918, that marked the ending of the First World War. Come back in time with me, please. Our first stop is over 21 years ago and I'd just started tenth grade. The World Wars were to be a big part of the curriculum for the next couple of school years and because of this, our teachers had organized a long weekend trip to the Battlefields of the Somme. Immediately, I knew I HAD to go on that trip. I knew it would be so important, but little did I know at that point, just HOW important it would be, in shaping the woman I'd become. I woke in the early hours of the morning on the day of departure, Thursday, February 11. It was still dark outside, just after 4am, and as I walked outside, the cold air hit me. As the coach made it's way to Dover, for the crossing to France, for the first time, I actually heard, and saw, dawn breaking. Once in France, on the way to our accommodation, we stopped at a couple of important sites, though in truth, I don't really remember much about them. Sorry! On the Friday morning, our first full day, we piled out to the coach and immediately were enveloped by a thick, cloying fog, with minimal visibility. Credit where it's due, both coach drivers did a great job getting us around. The fog was to stay with us for the whole trip and that is one of the reasons why it made it such a life changer. During the next two days, we visited many sites of importance, from crater-scarred fields where battles were fought, to trenches that were once occupied by both Allied and German forces. I'm not saying the trip wouldn't have been so important to me, had the weather been better, but for me at least, the difficult conditions made me feel exactly how the BOY soldiers would have felt; scared, anxious and at times terrified. We also visited many cemeteries, where the fallen of both sides are at rest, and where the names of countless thousands others are inscribed, alongside tombs to Unknown Soldiers. Each and every stop on the tour was very poignant, but the one that really stands out for me, was the final stop on the Saturday night. We got into Ypres, Belgium, around 7:30pm, and made our way, with thousands of others, to the Menin Gate. Here, at 8pm, I stood in silence as buglers from the local fire station played the "Last Post", which they've done every night since July 2, 1928, with the exception of during the Second World War. I can honestly say, hand on heart, that at that time, it was the MOST emotional thing I'd ever experienced. Since then, every time I hear the haunting tune, I'm taken back to that cold night, and my tears silently fall, as they did then. Next year marks the centenary of the start of "The Great War", but now, with last survivors of that conflict having taken their leave and joined their comrades at eternal rest, by sharing our stories, such as this one here, and the same for every conflict since, we WILL remember them! To all who have served in the military, wherever you are from, I say this... THANK YOU for YOUR service. I salute you! 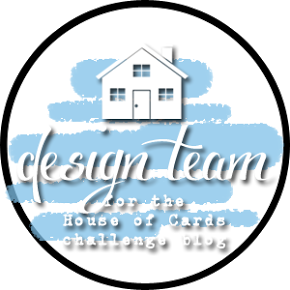 Before we get to the card I'm sharing today, I must tell you something about yesterday's post announcing that Deb has joined me as Marketing Director. 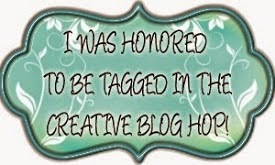 It was one of, if not the shortest post I've written for this blog, yet it has been seen by the biggest audience. Last night, within six hours of it being posted, it had had an incredible EIGHTY views! Thank you ALL! 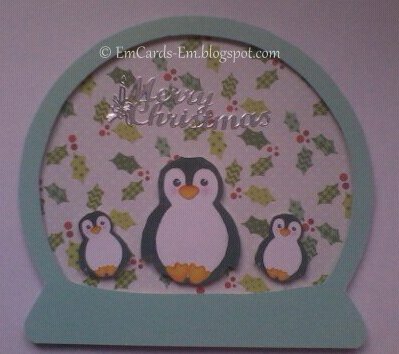 Now onto the card I'm sharing. Regular readers of the blog will know that I enjoy creating easel cards, or any differently folded card, lol. This is the first double easel card I've designed for quite awhile, and I really enjoyed creating it. 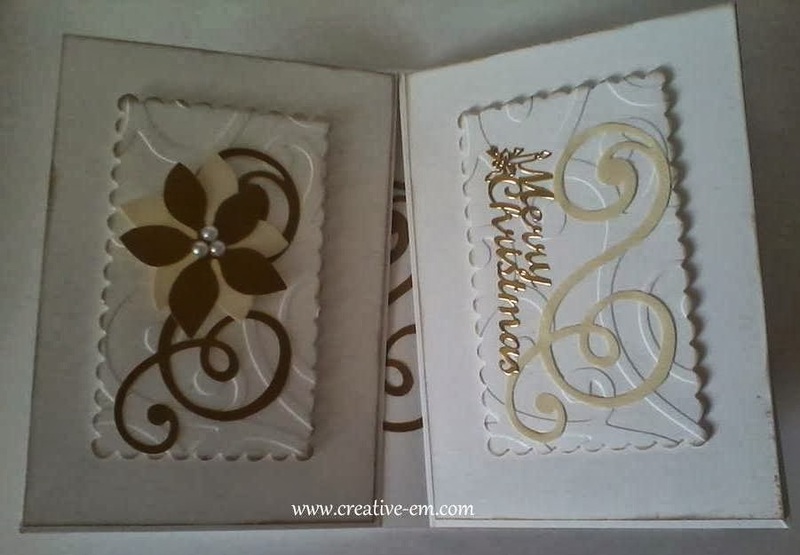 The card was created using a letter sized piece, folded in half to form a landscape style. The top was scored down the center and cut. The easels were created by laying the top on my scoring board and scored on the diagonal, from the outer points to the center cut. Those lines were then folded and burnished to reinforce the fold line. 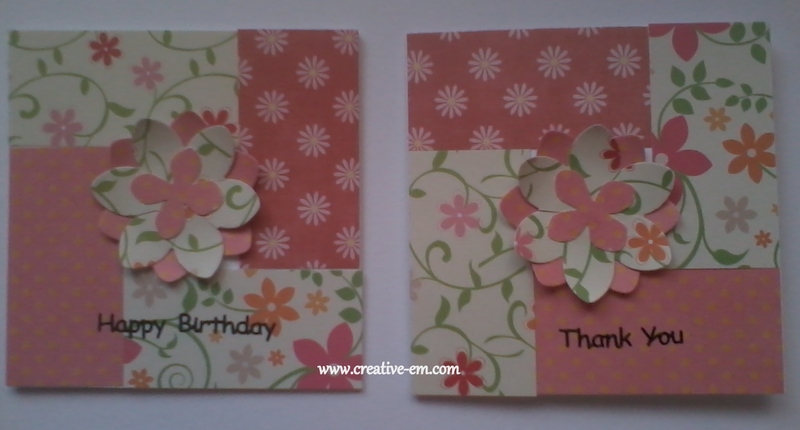 To create the toppers, I took another letter sized piece of card and cut it into four, the remaining two pieces will be used for another card. 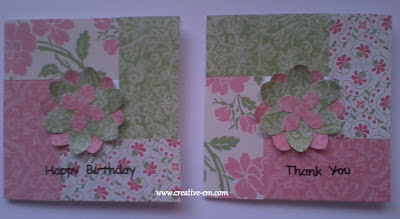 The scalloped rectangles were cut from leftovers from other creations and embossed using my favorite swirly embossing folder. 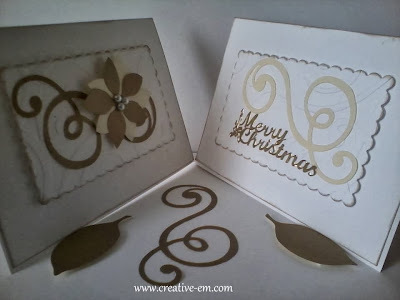 I inked the edges of the pieces in gold before doing a dry run with the main elements, cut in gold and cream from the Sizzix Poinsettia Swirls die. The flower and scalloped rectangles were added using foam tape onto the bigger rectangles, which were then added to the folded sections of the base using double sided tape. The sentiment is a gold peel-off. 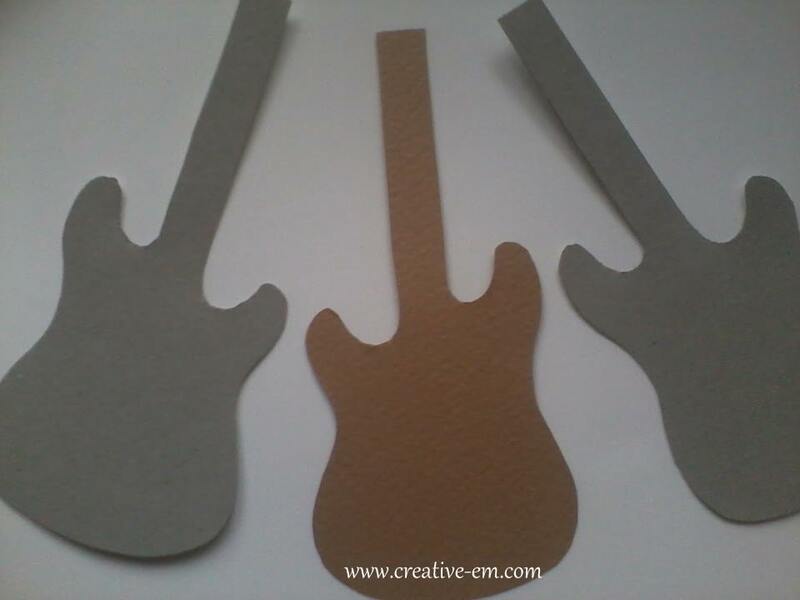 The easels are held in place with some of the leaves cut from the die and these have been added with more foam tape. The look is completed with another of the swirls. The photos don't do the card justice, it is so pretty. I'm very pleased with the look and would love to know what you think. Please do let me know by leaving a comment. Thank you! Today's post is a very quick one. 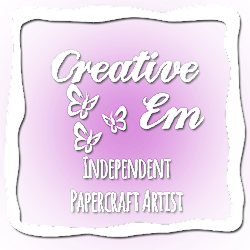 I'm honored to be able to announce that my amazing friend Debra has joined me as Marketing Director here at Creative Em. I'm excited about what the future holds for us. I'll be back with a creative post tomorrow, so I hope you'll stop by to see what I've been up to in the studio. 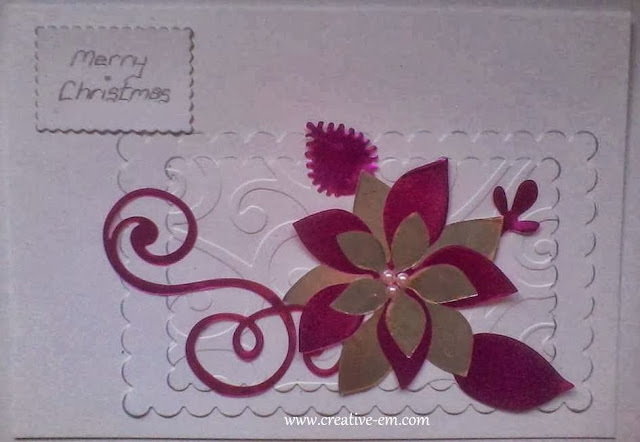 Today I'm sharing another of the cards that I've created using the Poinsettia Swirls die from Sizzix. 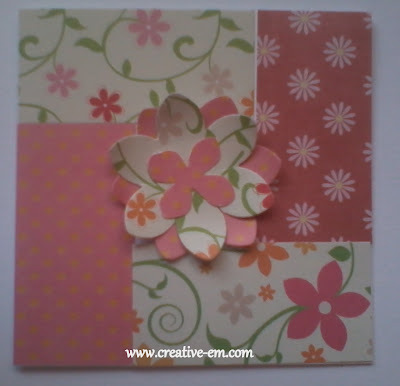 For this one, I've cut the shapes from cerise pink and silver metallic sheets. I've layered up scalloped rectangles, the upper of which I've embossed with a swirl folder, then inked the edges in silver. The sentiment has been hand written and adhesive pearls complete the design. Firstly, I want to apologize for the lack of posts recently. Hopefully I'll get back to posting more regularly now, so please stick with me. 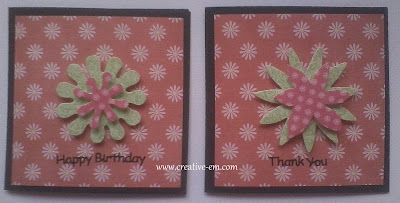 Today's card has been created using the new Poinsettia Swirls Sizzix Sizzlits die, which I again bought from Sunrise Crafts. 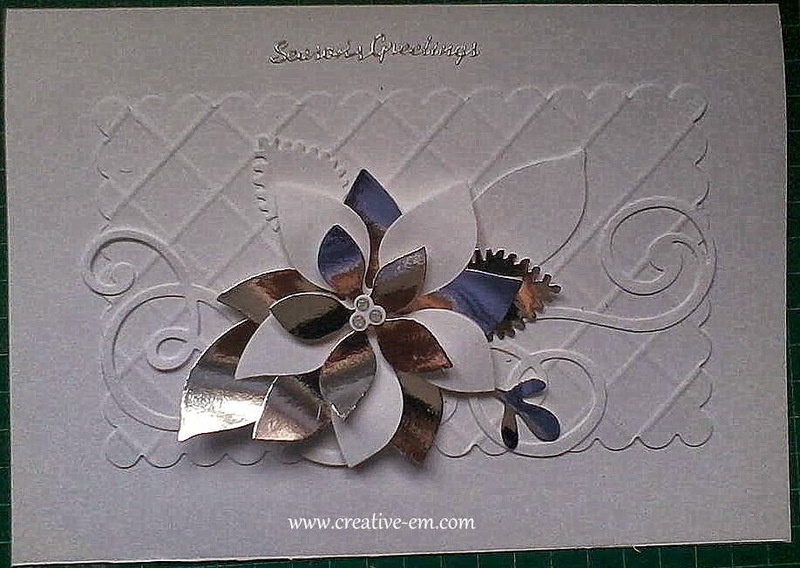 I cut it a couple of times from white and silver mirror card to create this one and the extra pieces will be used on another, so nothing will be wasted. 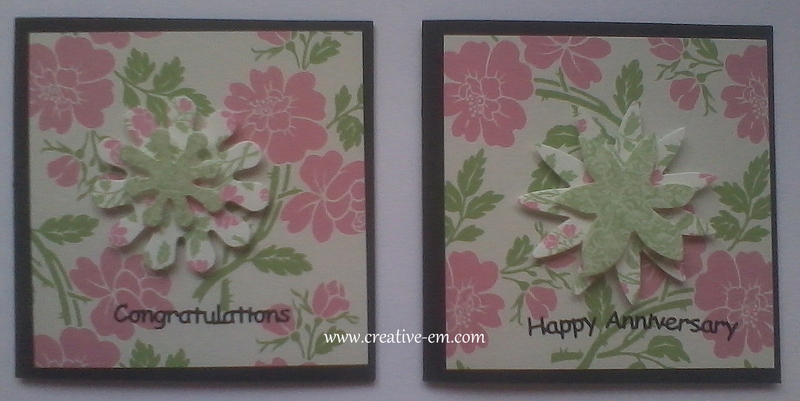 I've already created some more cards using the same die and I'm hoping that the natural light will be good enough to photograph them tomorrow. Right now it is too cloudy to get a good pic. 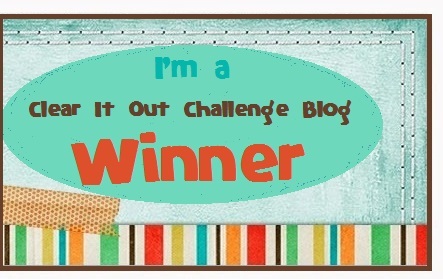 Welcome to the latest in my Monday Musings series (all others can be found here). 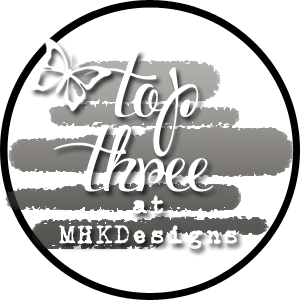 Today's post is the first in the series which is craft related and you'll see why soon :) I read somewhere last week that there is now less than 100 days until Christmas, *gasp*! I've just checked the calendar and yes, there are just 13 weeks to go, though I refuse to get panicky over how many days there are left, so I'm not counting those! I have, finally, made a start on my cards for this year's festive season. Whew! 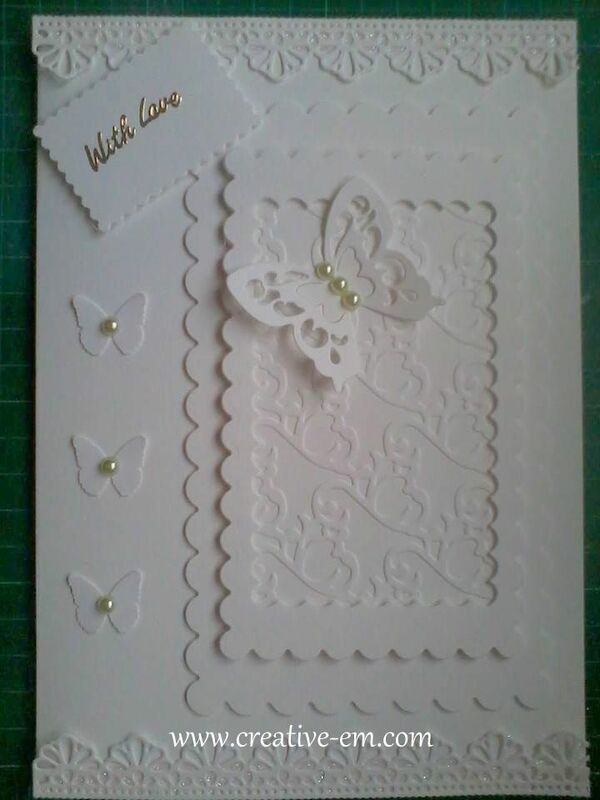 The first card I created is another white on white card (see some others here). 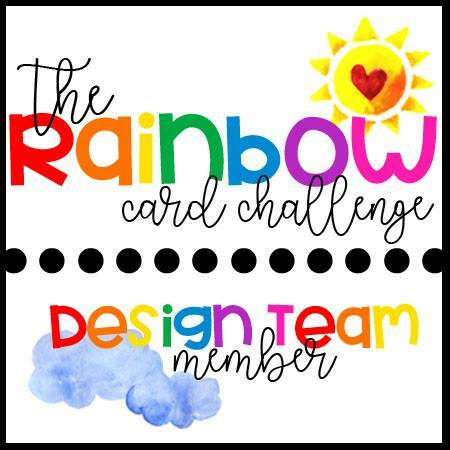 It just so happens that this card also fits in with this week's challenge over at one of my favorite blogs, Hiding in My Craft Room, #116 - LOL, so I'm entering the card there. The card is a 5.5" square base, to which I've added Lots Of Layers. 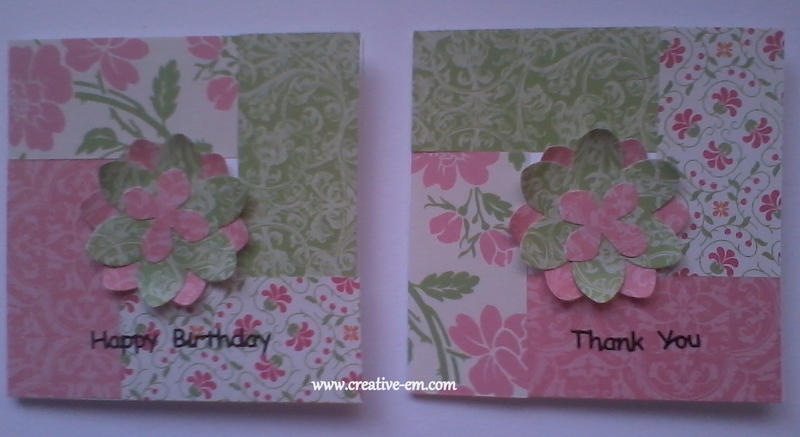 I used two of the Spellbinders labels dies, though I can't remember which they are. 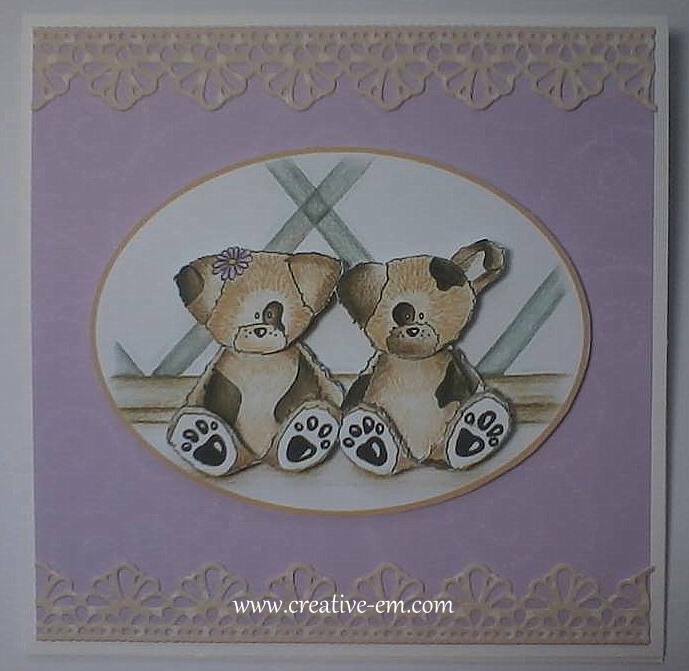 The lace border is from Sunrise Crafts and so is the embossing folder. The baubles and the bow have been hand embossed using the Christmas board for the Ultimate Pro system from Crafter's Companion. All the layers have been put together using silicon glue. Today's post is dedicated to all the victims of the September 11, 2001 terrorist attacks. Each of them is pictured below in a very poignant photo, which I saw yesterday on the Seal of Honor Facebook page. Please note that the website named at the bottom of the image no longer works. Like every defining moment in history, those of us who are old enough to remember will do so always. Where we were, what we were doing, who we were with; the utter disbelief at what we were seeing. I had just called in to a bar that I'd recently stopped working in, I'd called in to catch up with former colleagues and we were laughing and joking. The next moment, the kitchen staff came running out and yelled to the bartender to put the tv on. We all turned towards it and the room fell silent as the second aircraft hit the towers. The silence was punctuated with gasps and expletives. Then, almost as one, we all stood up and put our arms around each other for support. Time seemed to stand still as we witnessed the first tower fall. By now, everyone in that room, along with millions witnessing the events around the world, began weeping and praying. For the lost, for those countless thousands of emergency workers who were battling to help, for America and yes, for the world we knew. 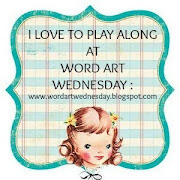 As I write this scheduled post, the years have melted away. I can see the desperate, tragic scenes without closing my eyes. I can remember the events as if they were yesterday, not twelve years ago. The world changed forever on September 11, 2001. I, and countless millions more, will NEVER forget. 9/11/01 happened years before I personally connected with America, before I became an adopted American, but it perhaps signaled the beginning of the very special connection for me and the country I love. These words might be sung by Lee Greenwood, but they are true for me too... "I'm proud to be American, because at least I know I'm free". 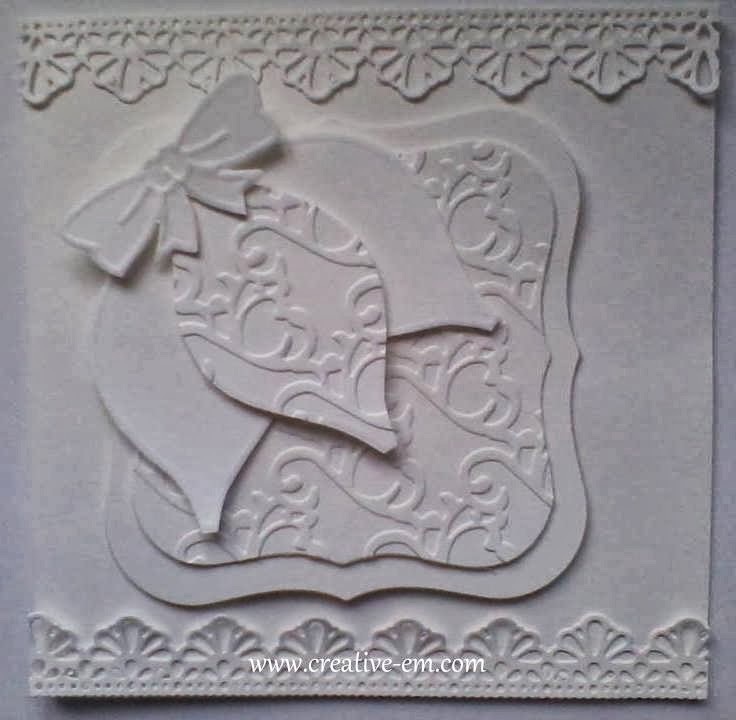 Today I'm sharing what is possibly my last white on white card for a little while. With fall fast approaching, I'm thinking the colors of the season will feature in some designs in the next week or so. 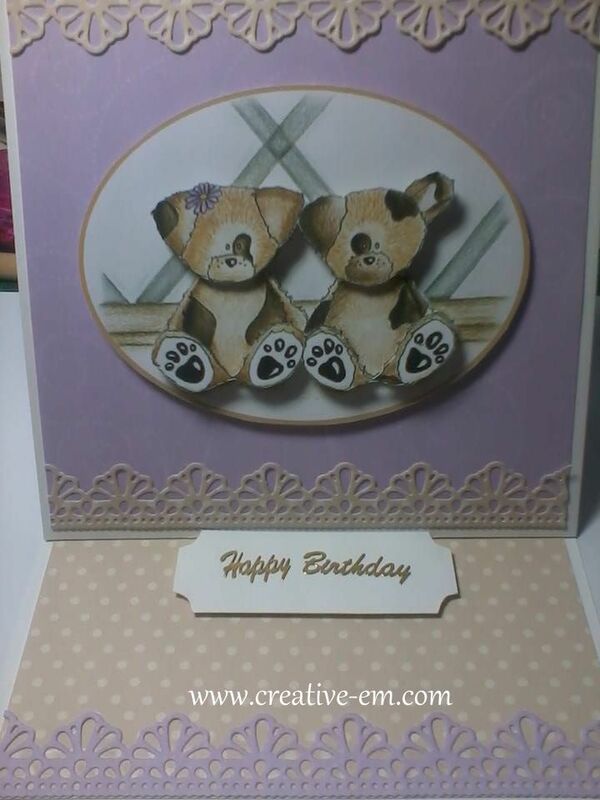 Following on from yesterday's post, I've today created another similar card, using the same main elements and dies. The only changes from yesterday is the addition of a little glitter in the lace, which unfortunately hasn't come out on the photo. 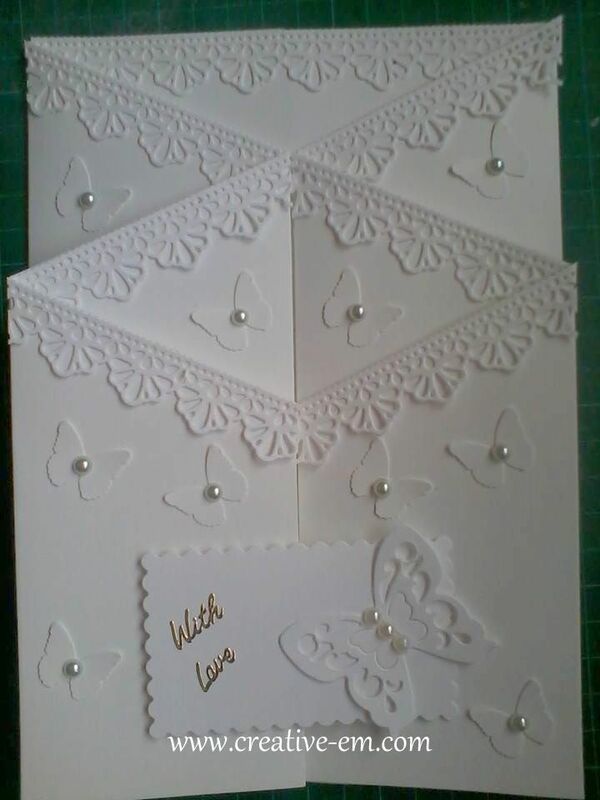 I've also added some punched butterflies to the side, using a Martha Stewart punch. 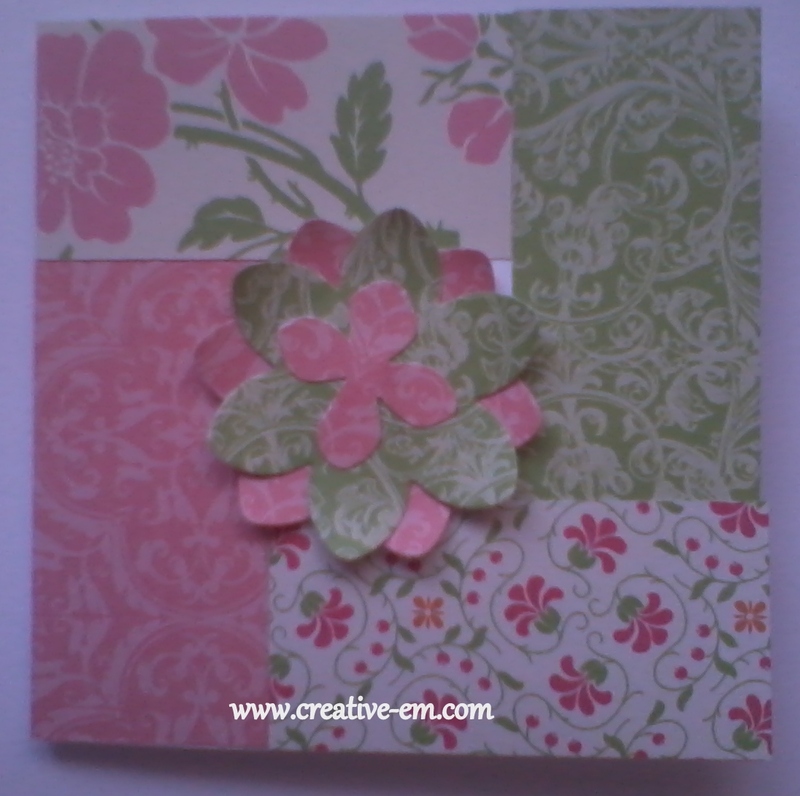 I LOVE the new lace die and will be using it on a lot of my cards. Here's the card that I created this morning, my first since the middle of July! I love the simple elegance of white on white cards and I'm really pleased with the way this one looks. I hope you like it too! 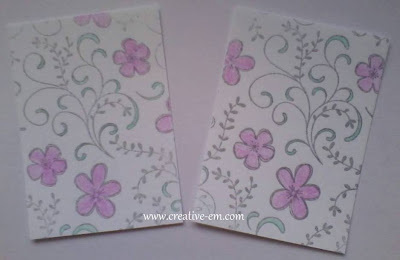 The lace edges have been created using the Cottage Cutz Elites - Fancy Floral Lace Border. 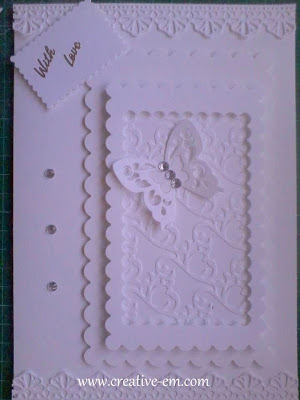 The embossed panel behind the butterfly was created using the Cuttlebug Dawny folder, both purchased from Sunrise Crafts. They only arrived in the mail this morning and I couldn't wait to play with them! 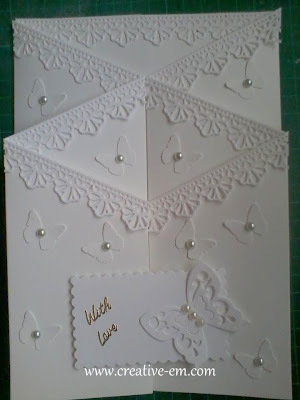 The other dies used were scalloped rectangles, I think from Spellbinders, and the butterfly was a freebie I got with a magazine earlier this year. 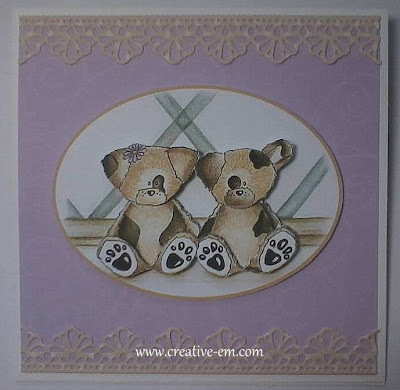 The sentiment has been added using a gold peel off and the gems are small self adhesive clear ones. I've added the lace border and butterfly using a tape runner and the other panels have all been layered with foam dimensionals. 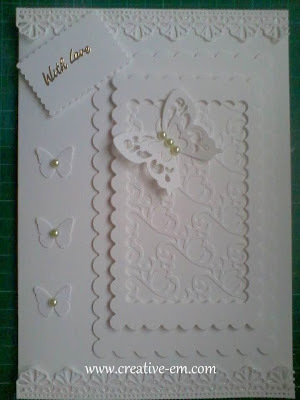 I have started working on another white on white card, which I'll complete and share with y'all tomorrow. 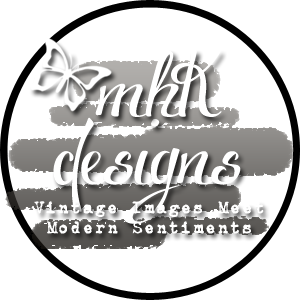 Welcome to the first Monday Musings post in about six weeks! If you're new to my site, you can read all other posts in the series here. Because of the break caused by my summer vacation, today's Musings are a little bit of everything. For those in the US, today is Labor Day, the unofficial end of summer, but for me and my family, today, September 2, has so much more meaning. 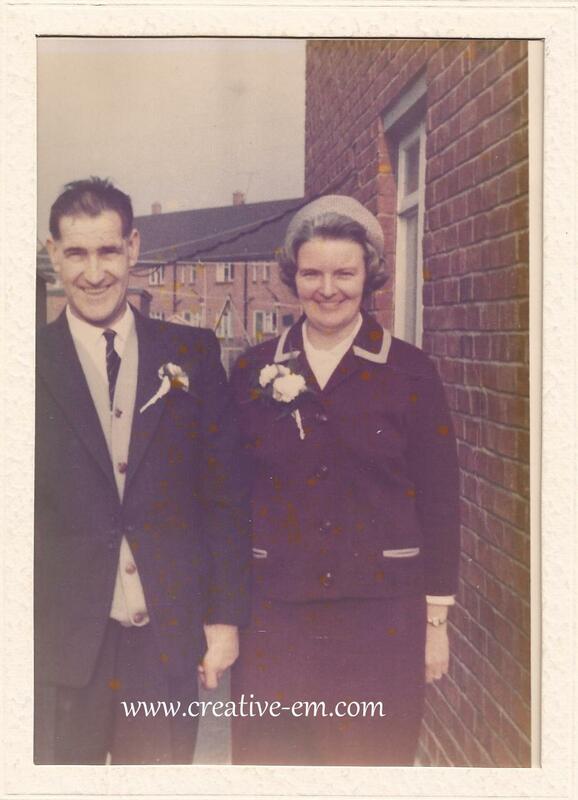 Today marks the thirty seventh anniversary of my beloved Granddad's passing. I know my guardian angel is always with me, and that is some comfort, not only to me, but my Gram too. The pic below was taken of them just a few months before he passed. Be sure to come back tomorrow to see what I've created. I just wanted to stop by, quickly, to let y'all know that I'm back from my sister's and will be back to posting regularly next week, after I've caught up on chores/ laundry etc. I might or might not get a "Monday Musings" post written on Monday, but I WILL post from Tuesday. Monday is Labor Day in the US, and whatever you're doing, I hope you have a great "unofficial end of summer" weekend! I'm sorry I've been so quiet for the last few weeks, but I was called away to my sister, Gayle's after she had an accident and this is the first chance I've had to post. Things have settled down a little now and we're getting out more, exploring the amazing scenery around Worcester, UK. I've taken a LOT of pics so far and will post more when time allows and I can get them prepared for publication. For now though, I want to share one shot that was taken while we were on a motor boat on the river Severn. With things settling down, we've decided I'll stay here another couple of weeks for a summer vacation. Yay! 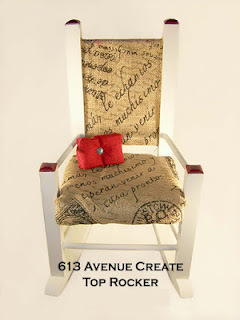 Before I go, I must mention my amazingly creative sister, Suzie's, new business website, DollsByDolls. 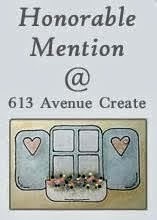 Please take a look at the wonderful creations and show the "Dolls" your support. Thank you! 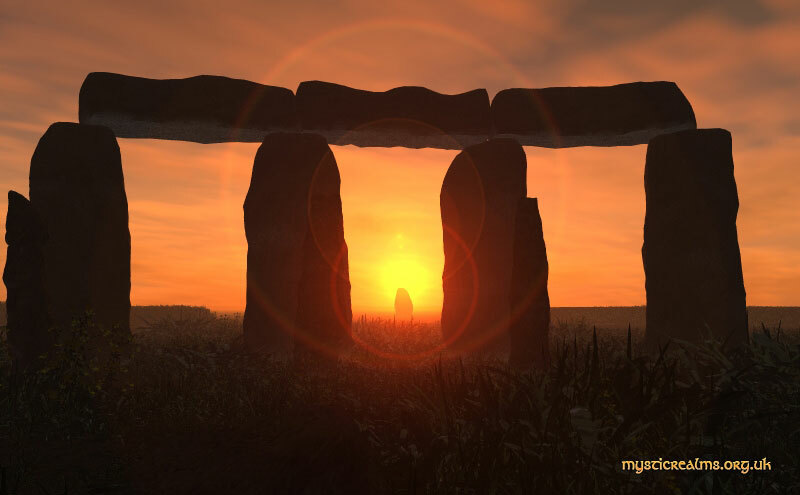 Welcome to the latest entry in the Monday Musings series. 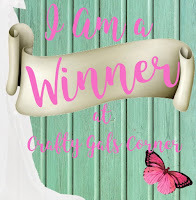 In this post, I want to touch on something that was brought to my attention by my sister from another mister, Lori. It is an article on the New York Post website that features this iconic image from the aftermath of 9/11/01. I will be saying more about the events of 9/11 in more detail in a post nearer the twelfth anniversary. But for now I want to focus on his comments, particularly the latter and hence the title of this post. I'm personally lost for words at his comments. Americans and indeed most citizens of any country are, on the whole, PROUD of their homeland. If you've followed this series, you'll know I'm an adopted American and I for one am immensely proud to be an American and I'm proud to display our flag. If you read the NYP article, please leave a comment on this post with your views. Thank you! 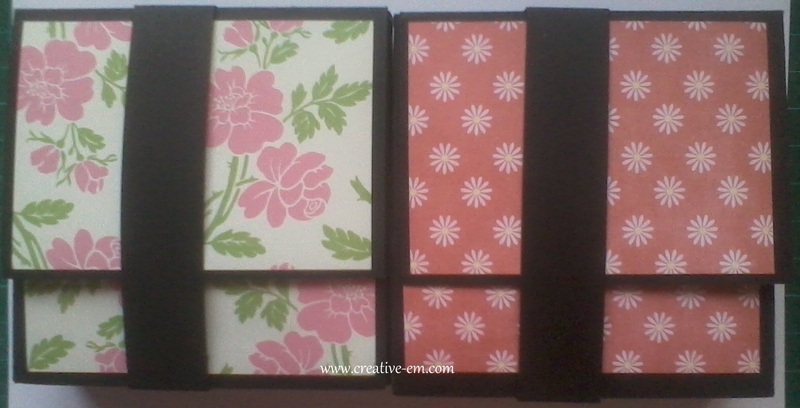 Following on from yesterday's post, when I shared more mini card creations with you, today I'm sharing the matching gift boxes I created for each set of six cards. Each box is 3.5" x 3.5" x 1" deep and I absolutely LOVE them! I hope you have a great weekend and I'll be back on Monday with a Monday Musings post. 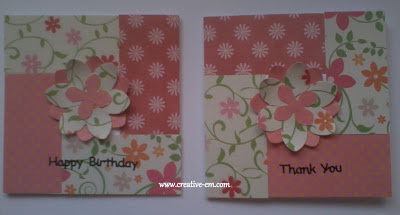 My favorite card style at the moment seems to be mini cards that are only 3"x3" square. They are not only cute, but are ideal for using up some of the "scraps" from other designs. Here are the latest couple of sets I've created. Both sets have six cards and envelopes and they are stored in a matching mini box. 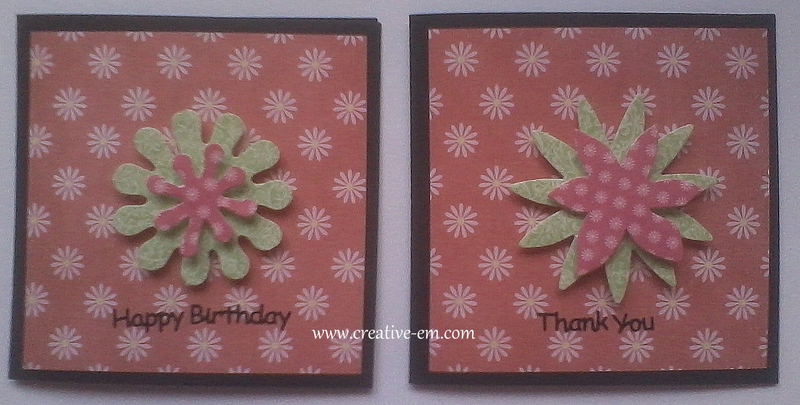 You can see more of the cards in the previous Pretty minis post and that post also links to a tutorial from Karon at Karon's Krafty Korner. 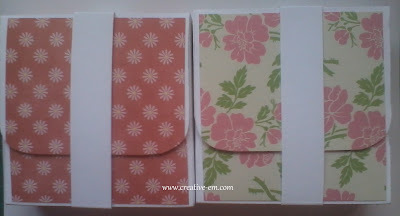 I'll be sharing photos of the completed gift boxes tomorrow and maybe even another set of the cards. I did say they are my current favorite style, lol. Please stop back to see them. Firstly, I'm sorry I didn't get a Monday Musings post written this week. I promise that the series will be back next Monday. I've spent some time this week revamping the site and I'm really happy with the way it looks now. 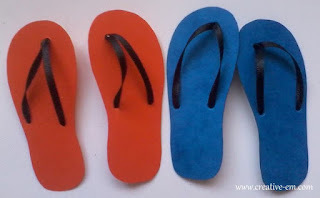 If you click the title of this post, it will take you to the blog, where you can easily look through the posts and the additional pages. One of the new additions is the Recommendations page and I'd like to take this opportunity to thank all my clients who have given recommendations. It truly is an honor to work with, and not for, you all. The site is still a work in progress, and I thank all of you for your patience while the revamp is continuing. 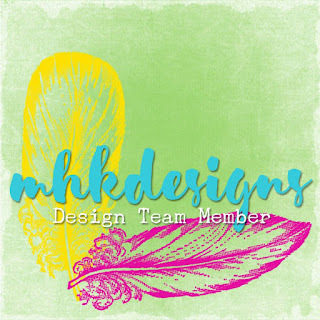 I'd love to know what you think about the new look, please let me know by leaving a comment on this post. Thank you! July 8, 2011 saw the launch of Space Shuttle Atlantis on STS-135, the last launch of NASA's thirty year Space Shuttle Program; STS being the acronym for Space Transportation System. Atlantis carried a crew of just four for this mission, the smallest crew since STS-6 in 1983. Among her crew was Pilot Doug Hurley, who's wife, Karen Nyberg, is a member of the ongoing Expedition 36 on the International Space Station. One of my own earliest memories was as a seven year old, watching the news on January 28, 1986. It was the day that shuttle Challenger, on STS-51-L, was tragically lost just 73 seconds into her flight, with the loss of seven crew members, among them Christa McAuliffe, the first teacher in space. It's a day I'll always remember. As I will February 1, 2003 when shuttle Columbia, STS-107, was lost during re-entry, with the loss of all seven crew members. Though it has seen terrible tragedy, the Space Shuttle Program has given us all so much. It has seen unimaginable advances in both technology and science. It has open the eyes of so many and on a personal level, it inspired my love of all things space related. Today might mark anniversary of the end of the Shuttle era, but NASA and other organizations are looking to the future of space exploration and I look forward, if only in a metaphorical sense, for being along for the ride. 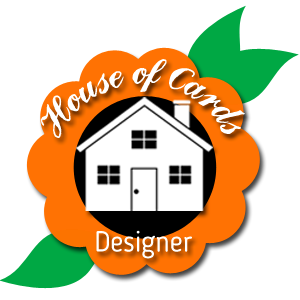 Before we get started with this week's Monday Musings topic, I'll just give you a quick note about some housekeeping I've done here on the blog. A few of you have commented that links in the posts have not been easy to find, so I've now changed the color of them to light grey, so they are much easier to find. I hope this helps. This coming Thursday, July 4th, is a very important holiday for me. 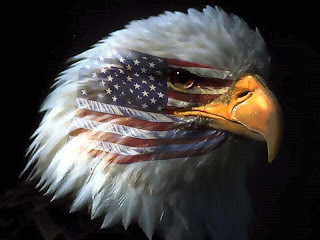 Some people may wonder why, as someone based in the UK, I celebrate American Independence from the country of my birth? The answer to that question can, in part, be found in a previous Musings post, the first in the series, Introducing me. If you've read that, you'll know that I feel more American than British and I sound it too! What I didn't say, in so many words, in that post, is that life for me prior to the time zone switch had been rough, very rough, emotionally. The decision was one that changed my life, so much, for the better. Just days after making the switch, I celebrated my first July 4th as an adopted American. The day holds so much importance for me, because I'm not only celebrating Americas's Independence, but MINE too, I celebrate taking control of my life. Before concluding this post, I want to share what I think, beside The Star Spangled Banner, is one of the most patriotic songs, God bless the USA! I'm finally feeling a little better and I'll be back tomorrow, hopefully, with the tutorial I promised you last week. I can now reveal that they were the soles of flip-flops, really fiddly, fun, flip-flops at that lol. They will look great on the finished project and I'll of course, share that with you too. I got back into the studio this morning and began working on a really exciting creative project. It is far from finished yet, but I thought you'd like a sneak peek? If you've any idea what it will be, please leave a comment. Thank you! Thanks for joining me for the second of my Monday Musings series, if you missed the first one, you can read it here. Today is my first day back following a week's vacation, so this is just a quick post, highlighting some of the different words used in the US and UK for the same thing. There are so many! In the list below, the American word is first, then the UK version. I've tried to put them in some sort of order, but they might seem random, lol. In the coming days I'll be sharing some of the images from last week, so please check back. The cover features a couple of my favorite photos, as well as a collage that I love too. All of these and many more are available for purchase and you'll see a selection on the Facebook page. 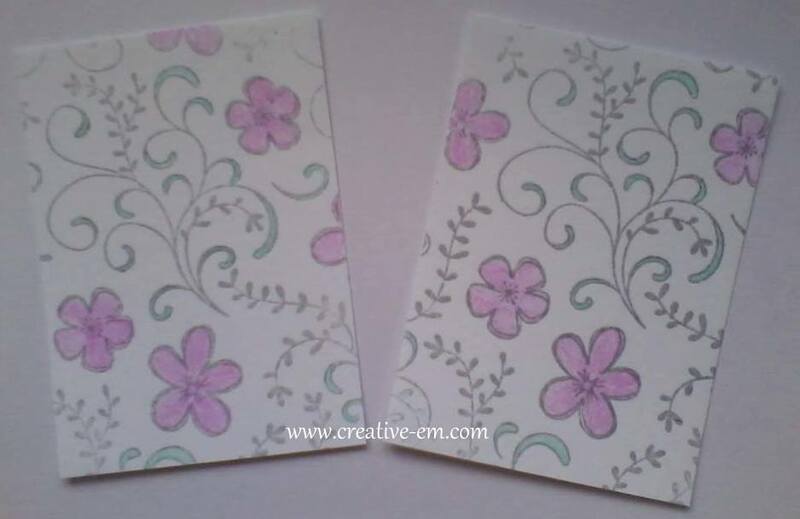 In the coming days I will be adding a selection of handmade greetings cards, all of which can be fully personalized and are made to your exact requirements. Please email inquiries to info (at) creative-em (dot) com (the addy is written that way here on the blog so it isn't picked up by spam bots). You can also send inquiries via the Facebook page by clicking the "Message" button on that page.